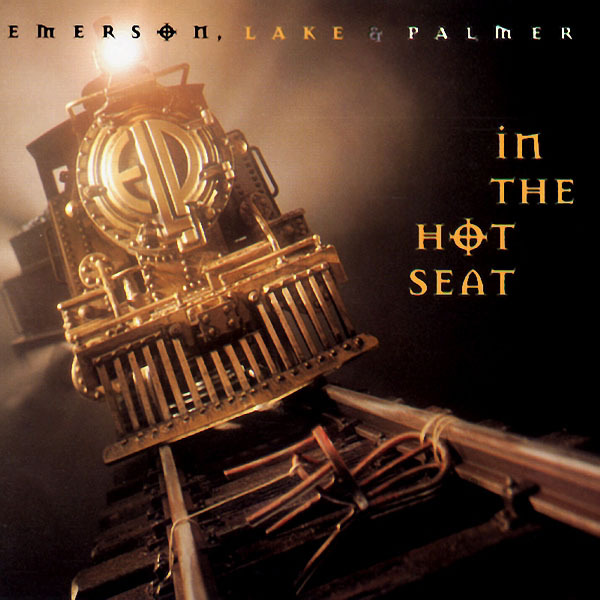 In the Hot Seat is apparently the last studio album by ELP (as of 2008) and like so much of the potential wasted all those years ago, this album is just a shadow of the mediocrity the band had been chugging out since 1973. And again, the ego clashing between Emerson and Lake resurfaced causing this effort of pop rock fodder to be even more disjointed than Black Moon. Furthermore, to add more to the fall of this band, Emerson had nerve problems in his right hand, making it almost impossible for him to play the keys. For all intents and purposes, this album probably should have never been done considering the situation the band found itself in. In the end, it represented an album that reeked of filler. Oddly enough, the only star (though dimly at that) on the album was the bonus track, an almost 15-minute studio version of Pictures at an Exhibition. It's much shorter than the original live version the band released back in 1971 and somehow lacks the energy and performance of that live version. Flat would be a good word to describe it. If it weren't for the bonus track, this album would be a certain one-star affair. Two stars. For collectors and fans only. Newcomers should avoid and start with any album prior to Works Vol. I.